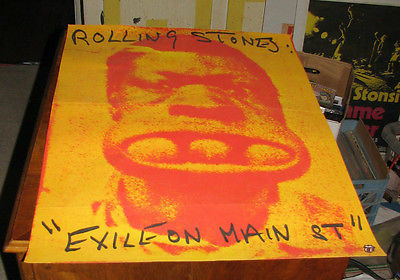 SUPER, MEGA Rare Rolling Stones Exile On Main Street promotional LP, USA Promo Poster, and ULTRA SUPER MEGA RARE PRESS Envelope / Folder. I only know of three of these folders that exist in the world. Poster, NM, but folded ( to fit into the folder), LP, records nice VG+, postcards NM, still intact, cover /inners, VG. Folder, Nice VG, with just some conrer wear and aging. Please see photos, and feel free to ask questions. I will be adding more rare records later in the week, so check back for some of the rarest Stones records and other Rock and Roll memorabilia. All of my items are fully, unconditionally guaranteed, no questions asked.